The Persuasions, giants of Brooklyn streetcorner a cappella. The Grateful Dead, giants of San Francisco ‘60’s psychedelia. It’s also a surprisingly natural fit. The Persuasions’ 40 years of recording is legendarily eclectic, covering everyone from Sam Cooke to Frank Zappa to Kurt Weill to the Oak Ridge Boys to The (gasp) Partridge Family. And the Grateful Dead’s influences are almost encyclopedic. So the roots and influences to be found on Persuasions of the Dead are truly sweeping: Appalachian folk, blues, bluegrass, R&B, “old timey,” jazz, gospel, streetcorner, African-American call-and-answer, country, rock ‘n’ roll, soul, hamboning, even avant-garde, musique concrete, and yes, Chinese folk melody. Really. It’s all there---united by the warm, vivacious, unpretentious singing of Jerry Lawson, Jimmy Hayes, “Sweet Joe” Russell, Jayotis Washington, and Raymond Sanders. The basic sessions for all but six tracks originally took place in 1999, and an album was released on Arista, Might as Well. While it was an endearing document of the sessions, Rense thought the album---out of print since 2002---could have been much more. Three years ago, he approached The Persuasions about re-producing the whole thing. The Persuasions were dead-set. . .for it. Now, expanded to two CDs, with six new tracks, six new guest artists, the sessions have indeed been re-produced, rearranged, remixed, remastered, and really, re-imagined, from scratch. 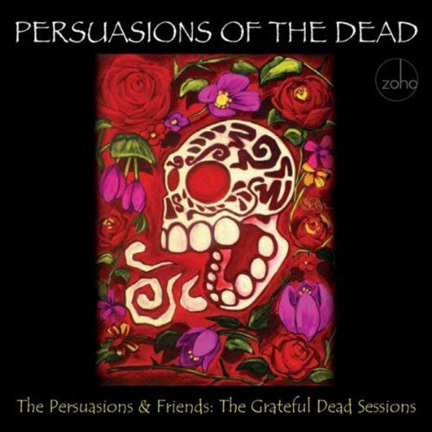 What’s more, Persuasions of the Dead is configured like a Grateful Dead concert, with “first set” (CD 1) of straight-ahead performances, and “second set” (CD 2) of more stretched-out takes, with segues, reprises, surprises. . .
With a crowning touch provided by old Persuasions fan Tom Waits, who christened the project Persuasions of the Dead. And the boat carrying this deep-sea album is ZOHO Music. “Having been a fan of The Persuasions since my student days in Germany in the 1970s, I was aware of their initial tribute record to the Grateful Dead for a long time,” said ZOHO head Jochen Becker. Some of that fun comes from non-Persuasions. While the album is largely a cappella, The Pers, as they are known to fans, are joined by a host of wonderful soloists, many with strong links to the Grateful Dead. 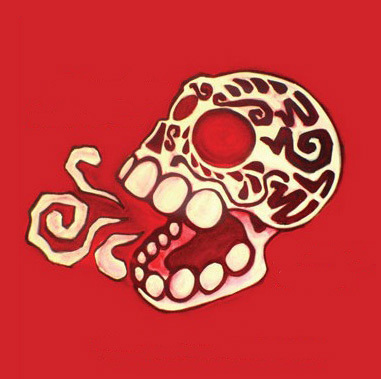 For Persuasions of the Dead, Rense invited Jackie LaBranch and Gloria Jones, longtime back-up singers for the Jerry Garcia Band, Bob Weir & Ratdog lead guitarist Mark Karan, saxophonist James King, erhu virtuoso Dongming Qiao, vocal trumpeter Alyn Kelley, and the great Country Joe McDonald. They join guest artists invited to the 1999 sessions by original album co-producers David Gans and Jerry Lawson: the late Grateful Dead keyboardist Vince Welnick, old Garcia musical cronies Eric Thompson (mandolin), Pete Grant (guitar), Grammy-Award-winning bluegrass musician Peter Rowan (vocal), and the now-defunct Berkeley female vocal group, Mary Schmary. Aside from “Drumz” and “Space,” The Persuasions recorded two brand new songs for the project, “Don’t Ease Me In” (an old blues number favored by the Dead), and the poignant Hunter-Garcia gem, “Stella Blue.” This was no easy trick, as lead singer Jerry Lawson had quit the Persuasions in 2002. That’s correct, to realize this project, Lawson agreed to reunite with his colleagues for “Stella.” This recording marks the very last time the original Persuasions sang together on record. Two other songs discarded during the original sessions were rescued and re-worked for the album: “New Speedway Boogie,” and “Greatest Story Ever Told,” and many others were substantially rearranged. In the end, the album is certainly the most ambitious Persuasions album ever made. But it is something more than that. With Lawson’s brilliant adaptation of Hunter-Garcia’s magical songs, the many textures and surprises offered by the many guest artists, and the deep, reverberating harmonies of these legendary singers, Persuasions of the Dead transcends the “tribute album” genre.